Seeing the traditional dilapidated healthcare services like self medication, chemists acting like healthcare experts and lack of availability of doctors in far-flung areas; an employee of renowned social media platform Facebook initiated an innovative way of offering healthcare to people in India with ‘Lybrate’. Established in 2013, Lybrate has been founded by former professionals of Facebook and Snapdeal Saurabh Arora and Rahul Narang respectively. The Faridabad-based start-up has pioneered a communication healthcare platform that connects patients and doctors in an unprecedented way. In fact, the mobile healthcare app launched by the company empowers patients to get the right advice at the right time, and allows doctors to touch more lives and help patients with their extensive knowledge. 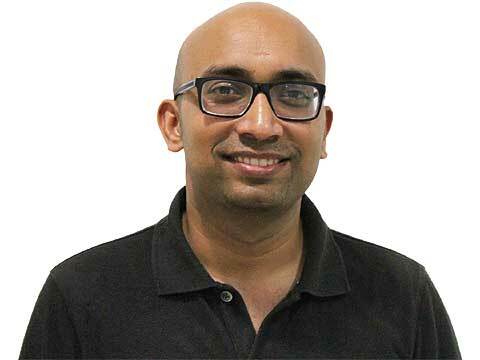 In an exclusive interaction with WI Bureau, Saurabh Arora, CEO, Lybrate unveiled his thoughts, plans and ideas to lift the existing ecosystem of Indian healthcare space, which aims to slash self medication and other inescapable practices. To change the way healthcare is delivered in India and make it accessible to the billion plus population had been the ultimate motive behind establishing Lybrate, and it continues to be our guiding force. To see people consult chemists for diagnosing their health problems left me very perturbed during one of my visits to Delhi. And, it perhaps, seemed to be very rampant. Though, chemists were not qualified to do that, but the trend was popular. This was disturbing, but more terrible was the fact that if such a thing was prevalent here in a metropolis; the situation undoubtedly had to be much worse in tier II and III cities. While studying the reasons for the same, I realised that the inaccessibility of doctors was the fundamental problem, which even led chemists to don the role of healthcare experts in diagnosing common health woes of consumers. This is what pushed me to think beyond my job at Facebook and do something to plug this lingering issue that stared in the face of Indian healthcare. I took leaf from what I had been doing at Facebook to find a solution to it. At Facebook, I connected SMEs and large advertisers to their customers using Facebook Ads. Replicating that knowledge, I conceptualized a platform that could connect users with any doctor from across India much in the same way and solve the core problem of doctors’ inaccessibility. On that firm resolve, I and co-founder Rahul Narang established Lybrate in May 2013. The premise of our business model is to connect patients to doctors in a way that they can communicate to each other from anywhere, anytime. By doing that, Lybrate is democratising healthcare in India. Lybrate has over 80,000 doctors from multiple specialties and it enables them to address patients’ queries for free or get in touch with a patient privately on payment of professional fee. Lybrate’s Health Feed, which offers health tips by doctors, is encouraging users to live healthy and fit, promoting preventive side of medicine. Each health tip is categorized under one of the 400 topics and users to choose from the health tips based-on their interest and preferences. With Health Feed, Lybrate is encouraging people to give their health prime importance. Initially, we were bootstrapping to bring our idea to fruition. However, as soon as we expanded business, raising funds became increasingly evident and we started to look for investors. They found worth in the concept and backed us. We have had two rounds of funding so far. Lybrate raised $10.2 million in its Series A round of funding from Tiger Global, Nexus Venture Partners and Chairman Emeritus of Tata Sons’ Ratan Tata in July 2015. Nexus had put in $1.23 million in the company as seed fund in August 2014. We are utilising funds to develop our product, recruiting quality talent, augmenting technology and scale-up operations. Investors support comes in the form of letting us have the access to their network. They help us in hiring good talent and forging key partnerships. In our case, specifically, our investors have built good companies in the past and so, having them is like, having a mentor, on whom we can fall back on for guidance and advice. Our business model is pretty different than what other platforms are doing in the mHealth space. Lybrate is India’s mobile-first healthcare information, access and delivery platform. We are fixing the root cause of the problem of healthcare delivery in India in a very holistic manner by increasing the accessibility of doctors and enhancing the ability of users to communicate with doctors anytime, anywhere. In India, doctor discovery is not the fundamental problem; it is the issue of inaccessibility of doctors. The doctor-patient ratio in the country is skewed with only 1 doctor available on every 1,700 patients leading to shortage of healthcare experts and compounding the problem of inaccessibility. It is this fundamental problem that Lybrate is solving. Besides, we also want users to stay healthy and not approach a doctor only when they are really sick. Our vision is to make people live healthier and fit. Also, the scale which we have been able to achieve in the online healthcare delivery space, and the things we are doing in terms of connecting patients and doctors, there is no one else in India who is doing it. Our revenue model is simple. While app usage is free, they have to pay fees for online consultation to doctors privately. Lybrate, in that case, charges Internet Handling Fee over doctor’s consultation fee. The doctor consultation fee goes entirely to the doctor, while internet handling fee is what fills Lybrate’s revenue kitty. For Lybrate, all challenges are opportunities and we are committed to create a ‘holistic healthcare environment for all’ in India. In the very beginning, the challenge was to get a clear picture of healthcare space. In India, it is quite fragmented and unorganised. We dedicated ourselves to find the core problem and accordingly look for a definite solution. Upon realising that inaccessibility of doctors was the fundamental issue, we charted on our course to fix it via the Lybrate platform. While we are steadily moving on our path, there are stumbling blocks like less internet penetration, slow broadband services and language barrier. However, making the platform perform at its best and let people benefit from it amidst all these challenges is what we are continually up to. If a start-up is able to make an inroad and get the users to use the product, difficulties begin to evaporate. Every challenge presents itself with the opportunity to find new solutions. So we see challenges that we face as something that make us better and finer. Lybrate currently has 60 per cent users from metropolitan cities and the remaining from tier I and II cities. We are focusing on increasing our presence in non-metros going forward. Using Lybrate is free for users. However, when they consult a doctor privately, they have to pay online fees. The fee is decided by the doctors themselves, and hence, it varies from doctor-to-doctor. On top of the doctor consultation fee, Lybrate charges internet handling fee. We are growing very fast. We are already number one medical app in India. This growth will push our profit margins too. The underlying fundamental behind any start-up is growth. So, yes, we are continuously scaling our venture. We are a product and engineering-driven organisation with emphasis on using engineering to scale our products and this is our main differentiation. We want to achieve scale using technology. It is possible only when we build systems for six months at three times the scale as we have been growing at a pace of 40 per cent month-on-month on most metrics. This is on scaling the backend processes. For front end, we are continuously making changes and adding new features to make our products user friendly. In the short term, we aim to cover more non-metros in the next two-three years and have more doctors from across specialties on the Lybrate platform. We are also looking at possible acquisitions for growth. At present, people tend to visit a doctor only when they are sick. We will continue to reduce the communication gap between doctors and users, encouraging people to seek doctor’s opinion for even staying healthy and fit. In the long term, definitely our vision is to make quality healthcare available to all in the country. It is very encouraging to see mhealth space grow in India and the healthcare experts and the Indian population warming up to it. It is in its early stages in India, but the future of Indian healthcare is ‘mhealth’. The growth of the segment is good for professionals. There is less risk around the space now as investors are backing most of the companies, which has brought them stability. It is for this reason; people from even higher roles are switching their jobs to start-ups, as the scenario is extremely positive now. The key is in knowing one unique problem that one looks to solve and focus on it completely, as a start-up cannot resolve all the problems. Skill development is on radar: Fat Mu..